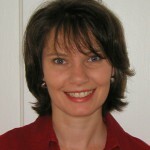 Dr Íde Kearney works as a Senior Economist in the Research Division of the Dutch Central Bank (De Nederlandsche Bank). Prior to joining the DNB she worked for a number of years in the ESRI on the development of macroeconomic models and their use in macroeconomic forecasting and policy analysis of the Irish economy, including forecasting the public finances. Dr Kearney holds a Ph.D in Economics from the European University Institute in Florence and a Masters of Economic Science (Econometrics) from University College Dublin. Her work for IFAC was in a private capacity, independent of her work for DNB. Her term of appointment to the Irish Fiscal Advisory Council was 4 years effective 11 March 2015. 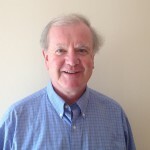 Professor John McHale (Former Chair) is Established Professor of Economics at the National University of Ireland, Galway. He previously held positions as Assistant Professor of Economics and Associate Professor of Economics at Harvard University, and as Associate Professor of Managerial Economics and Toller Family Research Fellow at the Queen’s University, Ontario. He has been a consultant to the World Bank on numerous migration and development projects. 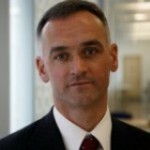 He previously served as Director of the Whitaker Institute for Innovation and Societal Change at NUI Galway. He has also served as an independent member of that National Economic and Social Council and of the Pensions Board. 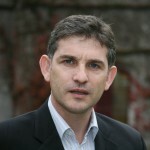 He is currently President of the Irish Economic Association and an associate editor of the Economic and Social Review. He holds Ph.D and A.M degrees from Harvard, and first-class M.Econ.Sc. and B.Comm. degrees from the National University of Ireland. His term of appointment to the Irish Fiscal Advisory Council was 4 years effective 31 December 2012. Professor Alan Barrett is a Research Professor and Director of the Economic and Social Research Institute. He is also a Research Fellow with the Institute for the Study of Labor (IZA) in Bonn, Germany. From 2011–2013 Alan was seconded from the ESRI to Trinity College Dublin where he led the programme of research on economics with the Irish Longitudinal Study on Ageing (TILDA). Alan was formerly a co-author of the ESRI’s Quarterly Economic Commentary (2005–2010), and has worked as a senior economist in the Department of Finance (2001–2003). He holds a Ph.D. and M.A from Michigan State University, and a B.A from Trinity College Dublin. He was appointed to the Irish Fiscal Advisory Council in 2011 and served until May 2015. Donal Donovan is currently Adjunct Professor at the University of Limerick and a visiting lecturer at Trinity College Dublin. He was a member of the teams that produced the Governor of the Central Bank of Ireland’s report in May 2010 and the Nyberg Commission’s report in April 2011, both dealing with the causes of the Irish banking crisis. Donal worked in the IMF from 1977 until 2005, when he retired as Deputy Director. During his career at the IMF, he worked closely with many countries experiencing financial crises. Donal holds a Ph.D. from the University of British Columbia and a Bachelor’s degree from Trinity College Dublin. Donal is the joint author (with Professor Antoin Murphy) of “The Fall of the Celtic Tiger; Ireland and the Euro Debt Crisis” (Oxford University Press, 2013). He was appointed to the Irish Fiscal Advisory Council in 2011 and served a three-year term. 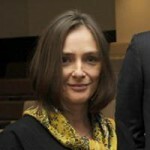 Dr Róisín O’Sullivan is a professor in the Economics Department of Smith College, Massachusetts. Her scholarly work focuses on macroeconomic policy and financial markets, and she teaches courses in macroeconomics, central banking and the economics of European Integration. Her academic publications include journal articles addressing the impact of the inflation targeting policy framework on bond market volatility and the role of asset prices in the measurement of inflation. Róisín previously worked as an economist in monetary policy department of the Central Bank of Ireland. She holds a Ph.D. in economics from the Ohio State University, and master’s and bachelor’s degrees from the National University of Ireland, Galway. Her term of appointment to the Irish Fiscal Advisory Council is 3 years, effective 31 December 2012.